Noted as a liberal before and during the First World War, he was appointed Chancellor of Germany in October 1918, in order to negotiate an armistice with the Allies in the last days of the war. Although he had serious reservations about the way the German General Staff wanted to conduct negotiations, he accepted the charge, and appointed a government that, for the first time, included representatives of the Social Democrats: Friedrich Ebert, and Philipp Scheidemann . . . . The government's efforts to secure an armistice were interrupted by the outbreak of revolution in Germany in the first days of November. Maximilian, realizing that the Kaiser would not be able to retain his throne, urged him to abdicate in time to save the monarchy itself, but the Kaiser refused to agree, even though Paul von Hindenburg and Wilhelm Groener of the General Staff urged the same course of action. Then Maximilian announced the abdication without the Kaiser's consent, and resigned in favour of Ebert on 9 November 1918. This was immediately followed by the proclamation of the German Republic. Prince Maximilian . . spent the rest of his life in retirement. He died at Salem in 1929. [Blaskowitz] planned the Polish campaign, led the Eighth Army in Poland, and subsequently became the CIC of the Army of Occupation. Blaskowitz protested to his superiors several times concerning the atrocities committed in Poland, but to no avail. He was later posted to the South of France to face an invasion, was unsuccessful, and dismissed. He later served under Rundstedt in Northern France and was engaged in supporting the Battle of the Bulge. 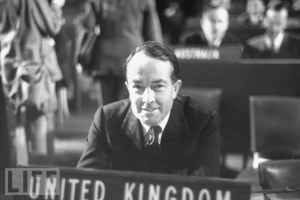 From there he was suddenly posted to the Netherlands, where he distinguished himself by a fiercely fought withdrawal, but at the same time allowing Allied airdrops to the civilian population. It was Blaskowitz who finally signed the instrument of surrender in respect of German forces in the Netherlands. After the war, Blaskowitz was charged with war crimes, but killed himself by jumping from a balcony. 1883 Birth: Frederick Flick: industrial tycoon and strong promoter of the Nazi movement. Flick became one of the most prominent entrepreneurs of the Third Reich era. He was sentenced to seven years in prison in 1949, but was released in 1951. Flick was considered postwar Germany's richest man, but stubbornly refused to pay his former slaves and forced laborers any compensation. 1895 Birth: Carl Orff: German composer. He was one of the few German composers under the Nazi regime who responded to the official call to write new music for A Midsummer Night's Dream after the music of Felix Mendelssohn had been banned - others refused to cooperate in this. But then again, Orff had already composed music for this play as early as 1917 and 1927, long before this was a favor for the Nazi government. Orff was a personal friend of Kurt Huber, one of the founders of the resistance movement Die Weisse Rose (the White Rose), who was condemned to death by the Volksgerichtshof and executed by the Nazis in 1943. After World War II, Orff claimed that he was a member of the group, and was himself involved in the resistance, but there was no evidence for this other than his own word, and other sources dispute his claim. A motive would seem to be clear: Orff's claim was accepted by the American de-nazification authorities, who changed his previous category of gray unacceptable to gray acceptable, enabling him to continue composing. 1903 Birth: Werner Best: Senior SS and Nazi Security Police Leader, who later became Reich Commissioner of occupied Denmark. Best was originally sentenced to death after being extradited to Denmark, but his sentence was later commuted to five years and he was released in 1951. He later went to work as an attorney for the Stinnes Co.
1914 Countdown to War: Another telegram from Baron Tschirschky, German ambassador in Vienna, to Kaiser Wilhelm II. The Kaiser's annotated notes on the telegram appear in Italics. "Berchtold is complaining of Count Tisza's attitude, which makes it difficult to proceed vigorously against Serbia. Tisza pretends that they should act 'like gentlemen.' (With assassins! After all that has happened! Stupidity!)" USA: Emma Goldman, anarchist, is imprisoned for obstructing the US draft. She toured the States, agitating and lecturing. She was hounded for much of her life by the FBI and was imprisoned in 1893, 1901, 1916, 1917 1918, 1919, and 1921, on charges including incitement to riot, advocating the use of birth control, and opposition to World War I. 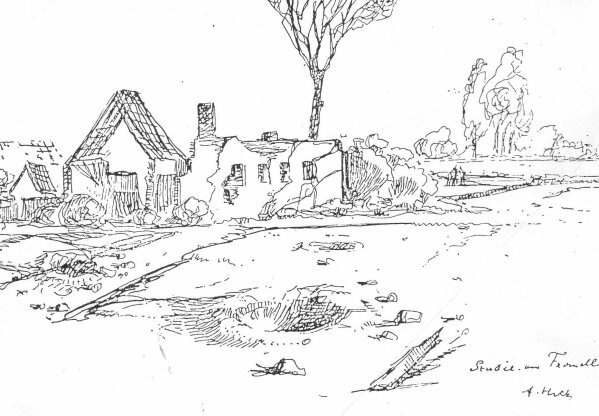 On July 8th, about midday, after artillery preparation, the troops of Gen. Kornilov's army attacked the fortified positions of the enemy to the west of Stanislau, on the Jamnica front, and, having pierced the foremost and most important position of the enemy, our troops advanced and captured in battle the small town of Jezupol [on the Bystrzyca] and the villages of Ciesow, Pawelcze, Rybno, and Stary Lysiec [all west of or on the same river]. Our cavalry, giving immediate pursuit to the retreating enemy, reached the River Lukwa [about eight miles behind the enemy first line]. During the course of the day 131 officers and 7,000 rank and file were taken prisoners; 48 guns (including 12 heavy guns) and numerous machine guns were also captured. A former Prussian minister of the interior and state secretary in the Imperial German Office, Bethmann Hollweg was appointed German chancellor by Kaiser Wilhelm II in 1909. Though of a relatively liberal bent, Bethmann Hollweg from the beginning strove to satisfy both the right and left extremes within the Reichstag, with varying results. His efforts to pursue diplomacy within Europe were often undermined by the strength of the German military establishment, supported by the Kaiser. One outstanding example of this dynamic was Bethmann Hollweg's unsuccessful efforts to scale back Germany's aggressive naval build-up in the first decade of the 20th century, in accordance with negotiations he entered into with Britain. In the end, the Kaiser weighed in on the side of Admiral Alfred von Tirpitz, and the naval arms race continued. Though Bethmann Hollweg personally expressed hopes of avoiding Germany's going to war in the summer of 1914, he nonetheless played a central role in the machinations between Austria-Hungary and Germany that occurred in the wake of the assassination of Austrian Archduke Franz Ferdinand by a Serbian nationalist in Sarajevo in late June. 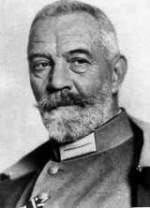 Once the war was underway, Bethmann Hollweg struggled to make his influence felt with the Kaiser and the military leaders of Germany, who effectively dictated policy from the first year of war, and whose power was formally consolidated with the creation of the Third Supreme Command—effectively a military dictatorship, in August 1916. 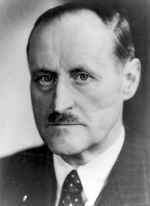 The chancellor, echoing more liberal elements within the Reichstag, including the socialists, spoke out for peace more than once, and argued for limitation of Germany's policy of unrestricted submarine warfare, actions that earned him the contempt of the military and naval command, including Von Tirpitz and Generals Paul von Hindenburg and Erich Ludendorff. The chancellor owed his final downfall, however, to his failure to manage the civil unrest within Germany, reflected in the feuding Reichstag. During the summer of 1917, as parliamentary debate raged over a proposed peace resolution, Bethmann Hollweg found himself unable to continue to balance the feuding elements of the German government, especially the majority Socialist Party—which was itself alienating its most radical leftist elements by aligning with a center-left coalition—and the conservative right, which predictably enjoyed the support of Hindenburg and Ludendorff. 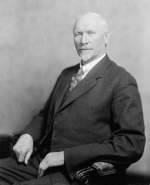 Having previously committed, reluctantly, to an unrestricted naval policy that had led the United States to declare war on Germany the previous April, Bethmann Hollweg was seen by the center-left, the authors of the Reichstag peace resolution, as a warmonger; and by the right, as a weakling for supporting the efforts to broker a peace. Exhausted, Bethmann Hollweg rose in the Reichstag on July 9 to respond to his critics: "My position does not matter . . . . I myself am convinced of my own limitations . . . . I am considered weak because I seek to end the war. A leading statesman can receive support neither from the Left nor the Right in Germany." The following day, he resigned as chancellor. He was replaced by Georg Michaelis, a relatively obscure undersecretary of state in the Finance Ministry who served for less than four months, only to be replaced by the equally unobtrusive Count Georg von Hertling, who served until the last month of the war and was, like Michaelis, basically a puppet premier subject to the authority of the Kaiser and the military. 1918 The first Soviet Constitution is adopted by the Fifth All-Russia Congress of Soviets. 1923 Italy: All non-fascist parties are dissolved. 1925 USSR: The official news agency of the Soviet Union, TASS, is established. USA: Die Bruecke (The Bridge), a New York based Nazi newspaper, begins publication. Britain: The London Daily Mail, England's most popular daily newspaper, prints an editorial justifying Hitler's anti-Jewish policy. 1936 Britain:The British House of Commons debates the activities of Sir Oswald Mosley and the British Union of Fascists. The Ambassador made no particular comment, except to state that there had been reports in this country to the effect that Japan might enter into a military pact with Germany and Italy, whereas the truth is that his country has no idea of doing so; that Japan, because of its proximity and difficulties with Russia, has been interested in the anti-Comintern policy of certain European states and in working with them against Bolshevism. I replied that, of course, this was primarily the business of his country; that my country...abstains from any entanglements or involvement�s with European countries; that, of course, if Japan desires to tie herself up with the horribly complicated European controversies, so as to make herself immediately involved in any European war, that still was her business primarily. Duke of Windsor: The German Ambassador in Lisbon informs Berlin that the Duke of Windsor believes that the bombing of England will help bring about a negotiated peace with Germany. For further information on the Duke, click here. The Battle of Britain begins: The Germans begin the first in a long series of bombing raids against Great Britain, as the Battle of Britain, which will last three and a half months, begins. After the occupation of France by Germany, Britain knew it was only a matter of time before the Axis power turned its sights across the Channel. And on July 10, 120 German bombers and fighters struck a British shipping convoy in that very Channel, while 70 more bombers attacked dockyard installations in South Wales. Although Britain had far fewer fighters than the Germans—600 to 1,300—it had a few advantages, such as an effective radar system, which made the prospects of a German sneak attack unlikely. Britain also produced superior quality aircraft. Its Spitfires could turn tighter than Germany's ME109s, enabling it to better elude pursuers; and its Hurricanes could carry 40mm cannon, and would shoot down, with its American Browning machine guns, over 1,500 Luftwaffe aircraft. The German single-engine fighters had a limited flight radius, and its bombers lacked the bomb-load capacity necessary to unleash permanent devastation on their targets. Britain also had the advantage of unified focus, while German infighting caused missteps in timing; they also suffered from poor intelligence. But in the opening days of battle, Britain was in immediate need of two things: a collective stiff upper lip—and aluminum. A plea was made by the government to turn in all available aluminum to the Ministry of Aircraft Production. "We will turn your pots and pans into Spitfires and Hurricanes," the ministry declared. And they did. Vichy France: The French National Assembly, dazed by defeat and maneuvered by Vice-Premier Pierre Laval, meets in the resort town of Vichy and vote 569 to 80 to grant Premier Henri Philippe Petain full emergency and constitution-making power. Note: Vichy France will attempt to consummate a "National Revolution" of a corporate nature: Eliminating divisive political party and class strife, encouraging family growth and cohesion, and favoring church and patriotic organizations. Under pressure from the Germans, anti-Semitic measures are gradually enacted and enforced. The Jewish population of Jedwabne, Poland, were rounded up and murdered. Over a thousand Jews were forced into a nearby barn which was doused with petrol and set on fire. Music was played to drown out their screams. For over 60 years, the Nazis were blamed for this pogrom. But new evidence proves residents carried out the massacre. This single revelation—that ordinary Poles willingly participated in the Shoah—has proved the most shattering revelation confronting Polish society since the fall of communism . . . . "The Polish Christians in Jedwabne killed their Jewish neighbours," states Judith Kubran unequivocally. "My father escaped to hide in the fields. He heard the awful screams and smelled the burning flesh of his family, friends and neighbours." Mietek Olszewicz agrees. "It was the Poles." He escaped after one of his friends warned him about the planned massacre. "He told me 'listen, they're going to burn all the Jews tomorrow. They're preparing the gasoline." Today in Jedwabne, despite a wealth of eye witness statements and circumstantial evidence, a conspiracy of silence still pervades. Residents deny any involvement in the massacre. "The Poles did not murder. The liquidation was carried out by Gestapo," states local priest, Father Orlowski. Defiant graffiti on the town walls proclaim: "We're not apologising. The Germans murdered the Jews in Jedwabne. Let them apologise." Poles who do speak out are ostracised and persecuted. Antosia Wyrzykowska hid seven Jews during the holocaust, protecting them from the massacre. But when her neighbours found out, they attacked her savagely. "They said 'You Jewish lackeys! They killed Christ but you saved them anyway! Then they ordered me to lie on the floor and beat me with a club until I was purple." Today, fear of reprisals prevents her speaking to the media. The Bolshevist agitators made no effort to deny that in towns, thousands, and in the villages, hundreds of corpses of men, women, and children have been found, who had been either killed or tortured to death. In spite of this Bolshevik agitators assert that this was not done by Soviet commissars but by German soldiers. But we know our German soldiers. No German women, fathers, or mothers require proofs that their husbands or their sons cannot have committed such atrocious acts. General Carl Spaatz becomes the head of the US Air Force in Europe: Spaatz went to Aviation School at San Diego, California and in 1916 became one of the Army's first 26 pilots. After the bombing of Pearl Harbor Spaatz was made head of the Air Force Combat Command. In January 1942 he began supplying bombers for duty with the Royal Air Force. Click here for further information. Barbarossa: In the East, armored units of 4 Panzerarmee (Hoth) and 6 Armee (Paulus) of Heeresgruppe B (von Weichs) join up north of Kalach on the Don, while 17 Armee (Ruoff) and 1 Panzerarmee (von Kleist) of Heeresgruppe A (List) continue their advance toward Rostov. In view of the spectacular Russian advance, and of the capture of Caen, which forms a welcome pendant, the Germans cannot, as things are now developing, face both fronts. They will soon have to decide whether to throw their main weight against the attack from the east or that from the west. Knowing what to expect from a Russian invasion, it is likely that they will decide on concentrating on the Russian front. This will help to ease our task in the west. Having broken through at Caen, it is essential that we should maintain the initiative and offensive without pause, and advance to the rear of the German flying bomb bases as soon as possible . . . . I continue to hope that in the end your strategy will again prove successful, backed as it is by every sound military as well as political consideration. The catastrophe shapes up ever more clearly on the horizon. Until now all signs were pointing toward a rather long duration, but now the indications are increasing that a quick end is possible. First, there are the evidences of deterioration that were to be noted within our ranks on the occasion of the Russian successes, evidences that were surprising to our army command, and obviously also to the Russians as well. In East Prussia, three generals died sacrificing themselves; a rout that wasn't equaled in 1918. Second to come into the scales is the hopeless inferiority in the air, with more and more terrible consequences. Third is the increasing shortage of supplies, especially gasoline. 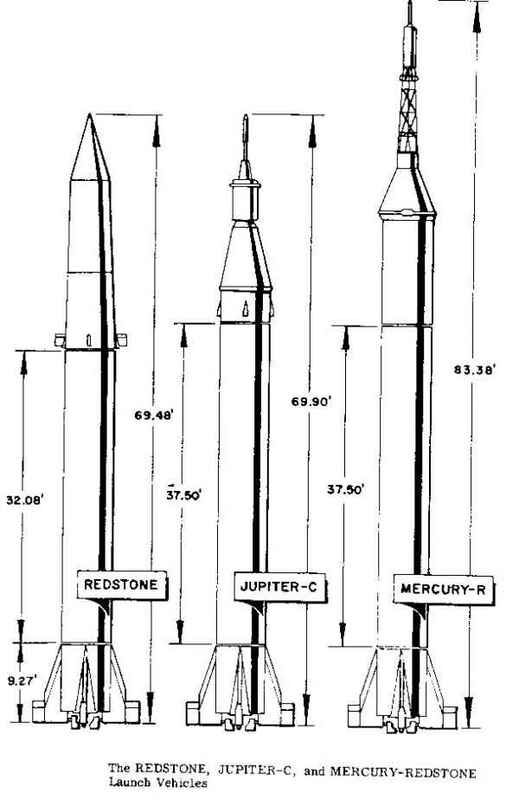 The "V-1" obviously is having considerable effects, but certainly no decisive ones; and even if "V" missiles with higher serial numbers should achieve more, nevertheless these weapons must be evaluated as measures of desperation; which, it is true, make on already horrible war still more ghastly, but which also destroy any reasonable prospect of peace and, at the most, only postpone our catastrophe. Russian front: The Red Army begins 3 major offensives into the Baltic States: the 2nd Belorussian Front north-west from Vitebsk, the 3rd Belorussian Front west from Psovsk, and the Leningrad Front south-west toward Narva. 1945 World War II: British and American carrier forces attack the Japanese home islands in preparation for invasion. Tokyo is attacked by more than 1,000 aircraft. Human memory is very short. Apologists for defeated nations are sometimes able to play upon the sympathy and magnanimity of their Victors, so that the true facts, never authoritatively recorded, become obscured and forgotten. One has only to recall the circumstances following upon the last World War to see the dangers to which, in the absence of any authoritative judicial pronouncement a tolerant or a credulous people is exposed. With the passage of time the former tend to discount, perhaps because of their very horror, the stories of aggression and atrocity that may be handed down; and the latter, the credulous, misled by perhaps fanatical and perhaps dishonest propagandists, come to believe that it was not they but their opponents who were guilty of that which they would themselves condemn. And so we believe that this Tribunal, acting, as we know it will act notwithstanding its appointment by the victorious powers, with complete and judicial objectivity, will provide a contemporary touchstone and an authoritative and impartial record to which future historians may turn for truth, and future politicians for warning. From this record shall future generations know not only what our generation suffered, but also that our suffering was the result of crimes, crimes against the laws of peoples which the peoples of the world upheld and will continue in the future to uphold by international co-operation, not based merely on military alliances, but grounded, and firmly grounded, in the rule of law.